In wall aquariums are growing as a fabulous center piece of attraction in bars. 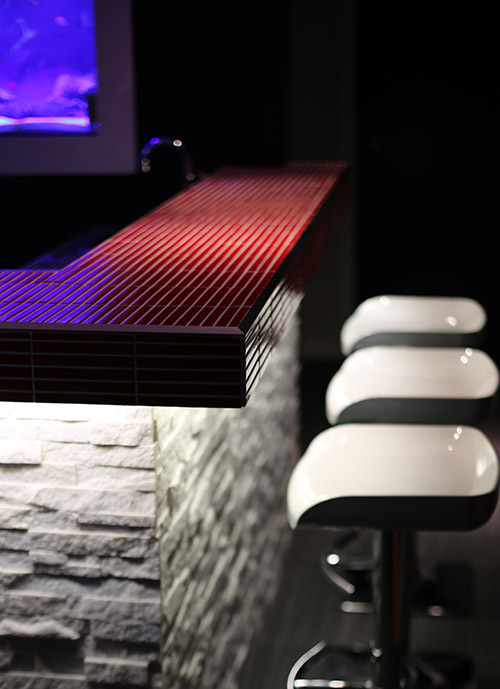 We specialize in contemporary bar designs that will have all your friends talking. From sparkling marble to mosiac countertop and a beautiful reef system in behind, we can set you up with the greatest lounge atmosphere there is to offer, all within the comfort of your own home.